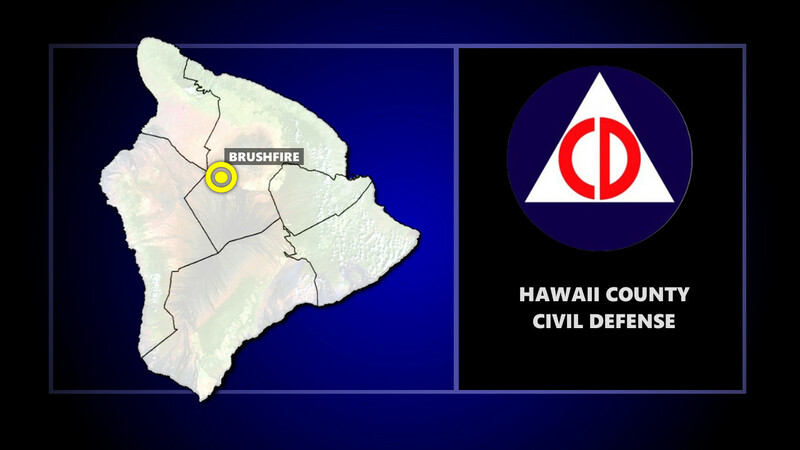 HAWAIʻI ISLAND - The Hawaiʻi County Fire Department reports a brush fire near the 35 mile marker of the Daniel K. Inouye Highway. No road closures in effect at this time. Hawaiʻi County Civil Defense message #2, issued Feb. 6, 2019 at 6:30 a.m. HST. UPDATE (6:30 a.m. – Feb. 6) – Fire activity continues to burn in the vicinity of the 35 mile area of Saddle Road, Civil Defense says. UPDATE (4 p.m.) – Fire activity continues to burn towards the east and is 0.8 miles from the Mauna Kea Access Road. No closures in effect at this time, Civil Defense says. (BIVN) – A brush fire is burning near the 35 mile marker of the Daniel K. Inouye Highway, also known as Saddle Road, County officials say. Fire units from County, State, and Federal departments are fighting the fire, civil defense said.